It takes Dr. S, the ENT, three minutes to determine that Col is a good candidate for a tonsillectomy. “Right side’s a plus four, left’s a plus three,” the doctor says after a cursory look in Col’s mouth. The scale tops out at four. This means Col’s right tonsil is all jammed up against his uvula and his left is leaning in like a child looking for snuggles. Explaining Col’s symptoms to the doc was like watching Agatha Christie solve a mystery. Dark eye circles, short stature, bedwetting, frequent infections, snoring, daily naps: aha! I picture Col’s mouth all clogged up with this gargantuan tissue, choking out his airway and harboring germs like stowaway rats on an ocean liner. And I’m Rational Mama, understanding the medical rhetoric and the need for this routine surgery. I carry a flag that says “tonsillectomies: 500,000 children a year can’t be wrong!” I will kiss my son goodbye in the operating room, confidently leaving him with the experts and their expert tools. My eyebrows are pleasingly tweezed and my glasses fit square on my head, not sliding down one side of my face like my left ear is caving in. Then, I’m Freakazoid Mama, who can’t get the phrase “cauterized knife” out of my anxious mind, nor the image of someone slicing—slicing!—living tissue from my son’s throat. It doesn’t much matter that tonsillectomies are the most common childhood surgery, because at some point the anesthesiologist is going to tick off the potential complications, and somewhere buried in that list is the teensiest possibility that my child never wakes up. And even though it’s a million times less likely than a vehicular accident, and almost every day I strap my children into car seats thinking about nothing more earth-shattering than onion bagels, the bottom line is I’m going to have to consent despite the risks. And my eyebrows are an absolute mess. Col knows his tonsils are coming out but he doesn’t want to talk about it. When I read the kids the cheesy pamphlet we got from the ENT about Benny, who can’t wait for his tonsillectomy so he can finally have enough energy to play soccer, Col hops down off the couch and says “I don’t want to hear anymore of that.” So I read the rest to Rose, which reminds me of my friend who went to couples counseling alone because her husband refused to go. Ohhh, alternatives. Well. There was our beloved naturopath who prescribed scads of supplements, so many that we once had a list on our fridge, so we’d remember the daily Vitamin A and D, the elderberry, fish oil, loquat syrup, probiotics, cell salts… There was the acupuncturist, who waved his smoking wands of mugwort over Col’s lungs. 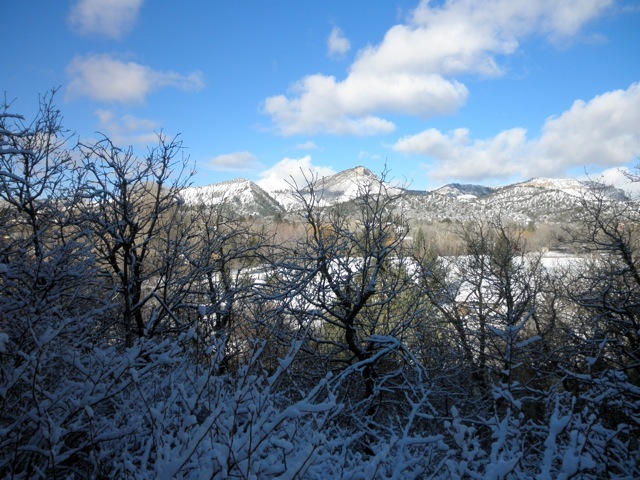 There was the osteopath who charged $160/session to tell us that Col’s chronic wheezing and slow growth were due to allergies to rhubarb, mustard and coffee; he prescribed powdered deer antler for appetite and virility. There was the homeopath who mailed us an envelope of white powder after conducting a 45 minute interview with Col (who was 14 months), asking questions like “is Col more of a summer or winter person?” There was the wonderful chiropractor who gave Col free treatments, kissing the top of Col’s small, fuzzy head after an adjustment. If I could have hopped on a tornado to see the Wizard of Oz, I would have, beseeching him for a new pair of lungs. And I love alternative medicine; all of it helped Col in some way for some length of time. But I think we’ve exhausted our options. Let’s hope Rational Mama and Freakazoid Mama can holds hands in solidarity for this boy; surgery scheduled for March 8th. 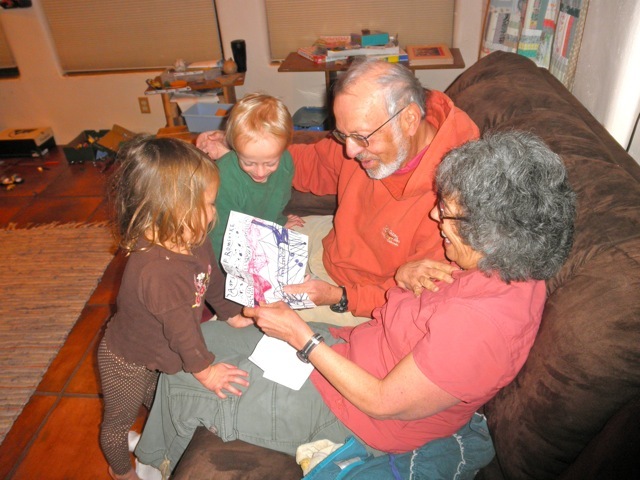 ::Baba and Nana opening presents from the kids. My dad is a scientist, and he and Col have this great symbiosis where Col asks zillions of questions (Why do helium balloons float away? Can we run faster than the Earth spins? What is earwax?) and Baba says “well Col, it’s sort of complicated. Let me think of how to explain.” And ten minutes later they’re riffing on astronomy and atomic weights and “what if’s” like two stoned college students in love with the universe. 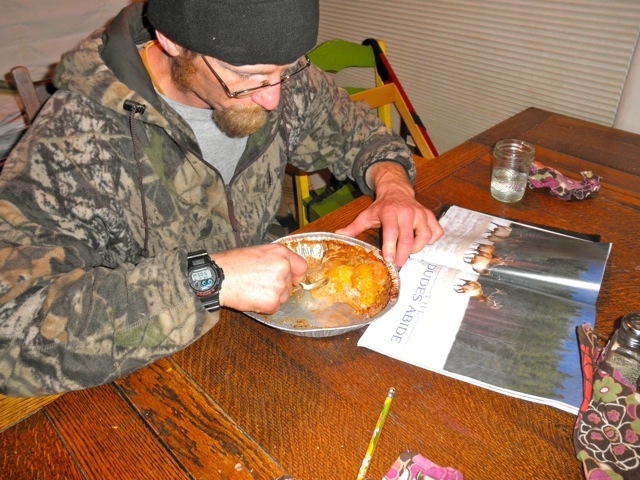 ::Eating peach pie straight from the pan while reading elk magazines after the kids are in bed = tops. ::For some reason I feel like Mother of The Year when I make homemade playdoh for the kids – maybe because it only happens about once a year. 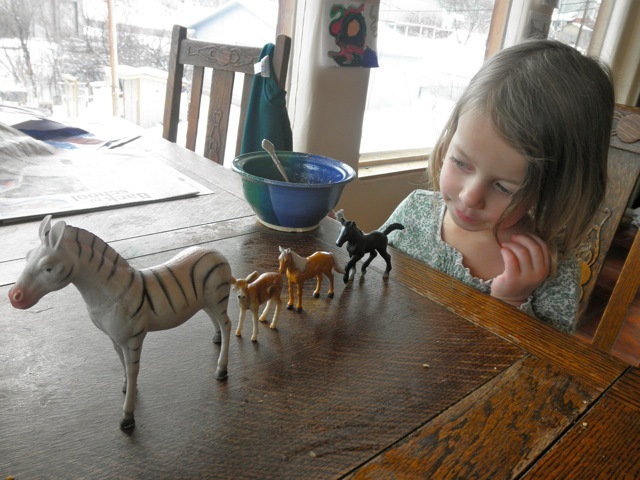 ::Rose is in love with her horses, even though one is actually a zebra, and one a deer. She says, “the deer’s Mama and Daddy died and the horses said ‘do you want to come live with us?’ And the deer said ‘you’re the beautifulest, I’ll go with you. '” And they all lived happily ever after. ::Our chickens totally got the 10 hours of daylight memo and are laying like crazy. 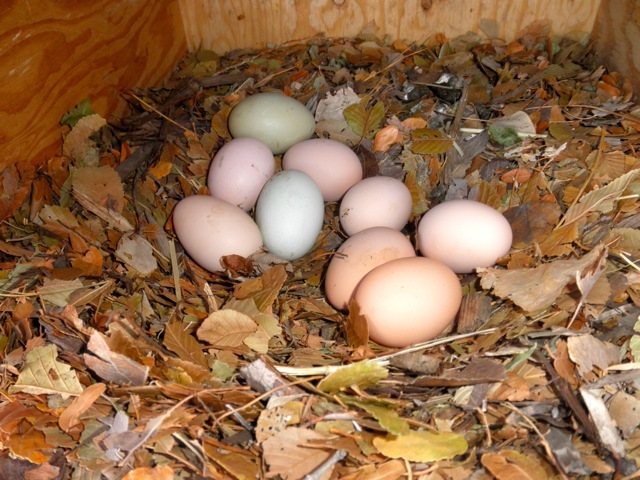 It always requires an algebraic equation to figure out who produced an egg each day. It’s like 10th grade algebra meets 4-H: If there’s 2 Aracanas, 3 Barred Rocks, 1 Buff Orpington and 1 Wyandotte, and they produced 1 green egg, 3 medium browns and one large dark brown, which chicken produced which egg? ::Even after fifteen years, I still can’t believe I live here. ps: The lying post. Your comments. Oh dear. I understand. Even when a small lie to your children seems like the easiest short term solution, it really isn’t. I am reckoning with that, alongside tonsillectomies. Thank you. pps: This book rocked my world. Hi Rachel, Hang in there. When is Col’s surgery? The waiting while he is in surgery will be tough but you will be so surprised at how quickly the time passes :) Sending good vibes your way and I hope that Col recovers quickly and happily. Take good care. Oh honey… he’ll be ok. And hopefully he’ll be so much better after! Will be thinking of you all. Oh goodness….. maybe herbs for the freakazoid mama on the day of? Or Dan could drive & you could have a glass of wine for breakfast (kidding, kidding). I do know that your rational side will most likely be sitting on your freakazoid side with her rational hands over her mouth. And when it’s all over and all is well, you freakazoid & rational sides will join and cry some grateful tears…. ’cause that’s just how we mama’s roll. Until then… I’ll be sending some good vibes to all of you. tweezed eyebrows are soooo 2000 and late. hang in there in the coming weeks in the company of freak-mama. She has your best interests at heart and will settle once it’s all done and Col’s on the mend. 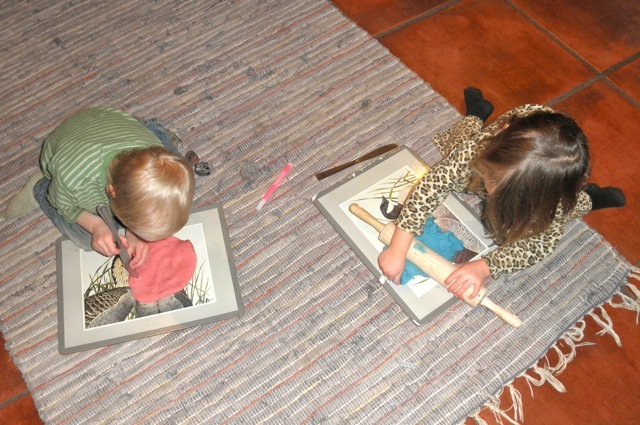 Both my niece and nephew had their tonsils out for many of the same reasons you are headed in that direction…. the relief they experienced has been worth it a million times over. Thinkin’ of y’all on the 8th…. Best wishes, will be thinking of you all on 3/8. 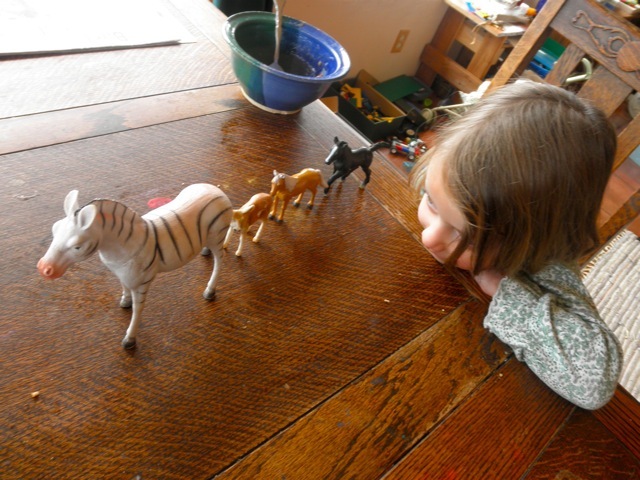 And I just might be in love with Rose’s horses, too, as well as her lovely story about them. The beautifulest indeed. Do you ever want to shoot people who ask (after you’ve made one of the hardest decisions of your life) “Have you thought of the alternative therapies?” I know I’m not supposed to say that. Col is so lucky. Helium buddy brainiac and sister-listener. Everything grows at your house. Just look in your sink. I forgot to add: I love those eggs. I could look at those eggs every day. I think it might be time for me to get chickens. Great post, as usual. Just want to send out my blessings on your surgery. March 8 will come and go very quickly, and the drama of it all will likely seem very distant, very soon! And I am so hopeful that it yields some real results! Good for you for making the tough decisions. By the way – your sink is impressively clean….! Full confession: the first picture I took of my little sprout in the sink was so gnarly that I cleaned it and snapped another picture. I totally get the personality split on this one. We’ve never been through it. L had some kind of drug for a dental procedure, and turned out to be a very very mean drunk once the procedure was over and the stuff started to wear off, which was difficult and a little horrifying at the time and very funny afterwards. I wonder if the scientist in Col wants to visit the place where he’ll get treated and recover before it happens. Maybe that’s a weird idea. I took my daughter to the haircutter’s to just flip through magazines, before I ever tried to have them cut her hair. Seemed to help for that situation. I read this this morning and starred it so I could comment, and then your comment came through on my post. Reckoning… that is the rub. 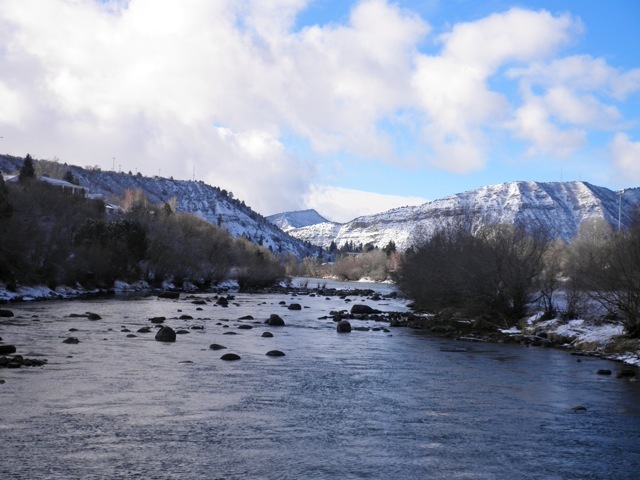 I agree with Rebecca at Altared Spaces — of course you’ve considered the alternatives, you’ve considered it all because you will do it all, anything for Col. It seems so clear, to me, that your heart holds it all. And the picture of the sprout made me laugh out loud! If I was the coffee drinking type, my keyboard would have been a goner! Total guffaw. I just love it. Yay tonsil surgery! When you’re picturing sliced tissue, replace the image with hundreds of children happily breathing, not snoring, and not getting sick! Imagine how relieved you’ll be on the other side. In my mind, you’re there already! the day after flynn’s surgery neko, my god daughter and & the hounds and i *were out on a neighborhood stroll. when i told a friendly acquaintance (who is also a mama) about flynn’s tonsillectomy the day prior she looked at me with something near a smirk applied on her face and said, “aren’t tonsillectomies so 1970?” obviously i still haven’t entirely let that one go, though i certainly should. mama bear–grrr. peace out, mama & for the love of god, please call me for a chat before you start tweezin’. xxoo *and me? me and? 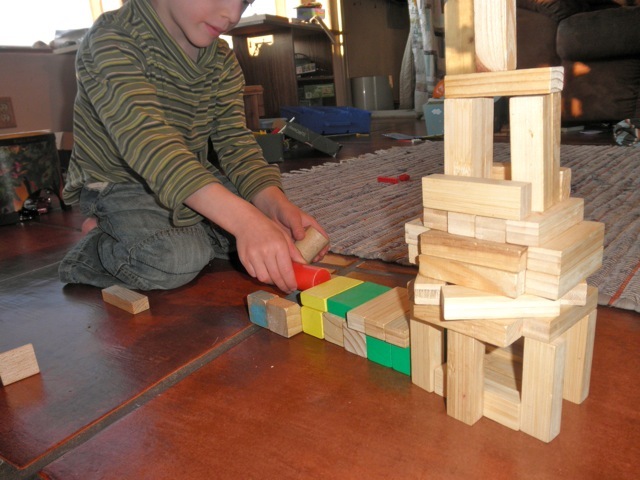 One of my boys had a minor, though general-anesthesia-requiring surgery when he was about 2. They gave him a little cup of valium before wheeling him away to the OR with a strawberry-flavored mask of anesthesia over his nose. He was fine. I was the one who needed the valium. And then we went and sat in a hospital cafeteria eating bad french fries for a couple of hours before being invited into recovery to watch him sleep and have his vitals checked. This is to say: Cole will probably take it better than you. See if you can’t get your own little cup of valium. And bring your own sandwiches to the hospital. 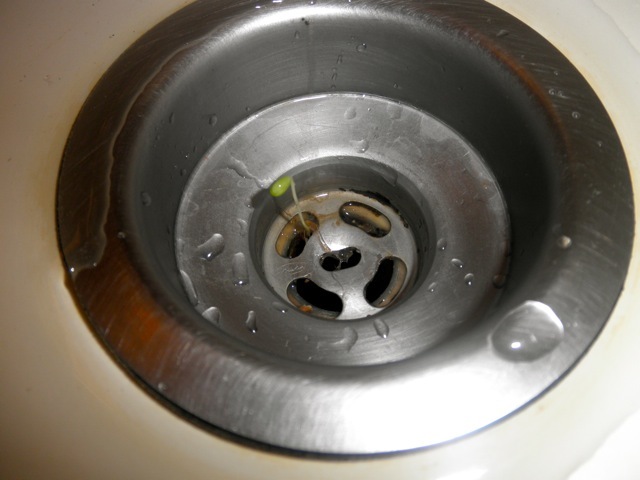 Also, I had a sprout growing out of my sink (the drain side) yesterday. Since we finished eating the sprouts over a week ago, it’s been there a while. I meant Col, not Cole. Sorry. I know yer skeered and all (well, at least one version of Mama is! ), but all I can manage to think of is how much better Col is gonna feel. Just think of all the energy he’ll have! Oh wait, that means you’re going to be exhausted. Ah, parenting. So glad I can watch others do it. ;) Per the usual, I will be sending prayers and well wishes to all that is for Col. This post hits home for me, as I am facing the same decision with my son regarding his undescended testicle. I’m not quite done yet with trying alternatives, however I am starting to get exhausted from trying, and all the appointments and money and energy spent, and am starting to consider being tempted by the surgical solution which, unfortunately, involves general anesthesia. I hope this procedure gets him past his current hurdles, and brings some peace for you too! It sure is a hard decision to consent to surgery, no matter how common or routine, on your child! Thanks Steph. I think you (and I) can feel good in that we’ve tried EVERYTHING, before consenting to surgery. And then once surgery’s over, we’ll never (hopefully) have to revisit these issues again. It is so exhausting and expensive to keep chasing solutions which don’t seem to be working. Big hugs to you, Rachel. Use all the support you’ve got. Besides the fact that Col is Blessed and a major trooper, there are two more reasons why the surgery will be a complete success, and Col will wake up better than ever: March 8th is International Women’s Day, AND it’s Zev’s 6th birthday! My good, warm and fuzzy thoughts are with you, Col, Rose and Dan… mucho love and lots of hugs!!!!! I just read Rick Hanson’s newsletter where he talked about how we worry about so much that never happens to us-include me in that one. It is very normal for you (and me, as Rosie says) to worry in this situation but also good to keep in mind our propensity to get mired in our worries . Listen to your Baba and all your wise commenters. Will send much love and light March 8! They have to tell you about the freaky risks to cover their own asses. And I love both Rational and Freakazoid Mama–they both reflect all of us out here, too. Cracking up about the sink sprout! PS. I am recently obsessed with brows–one little thing to have control over, right? Loquat is for cough and lung in Chinese medicine. Sometimes i would take the Ninjiom Pei Pa Koa which is an extract of loquat when got sore throat. I didn’t know chickens could give a green egg?!? Any other colors? *So I read the rest to Rose, which reminds me of my friend who went to couples counseling alone because her husband refused to go. * is so powerfully thought provoking. You’ve earned metaphor’s gold star. You’ve inspired me to make some play dough and earn motherhood’s gold star. I’ll hold good thoughts in my heart on March 8th. That sprout is much lovelier than the little mushroom we couldn’t bear to pluck for awhile from behind my mother’s sink baseboard! :). Will have you guys in our thoughts 3/8. With all I’ve read about this for River’s tonsillectomy (3/11), this does sound like the right thing but I’m there with you. I’m tantalized by the mention of skinny little dudes with sleep apnea getting solid after they heal up and sleep so much better post-tonsillectomy. (My freak outs have involved obsessive online research; not necessarily recommended!). PS We are going to try to slip him some homeopathic arnica once he’s awake post-op, though. It really helped with his Grandma’s tooth pain post oral surgery and was prescribed by her dentist. Excellent idea on the arnica. Thanks for the reminder. just curious, and ignore me if this is an ignorant question… is there any known correlation between tonsil-issues/tonsillectomies and preemies? the three friends i can recall whose babes have had their tonsils removed recently are all preemie-mamas. perhaps this is total happenstance, or coincidence, or just bad luck…but interesting nonetheless. just curious. good luck to you and Col. thoughts of a speedy recovery coming your way. Liz, That’s a worthy question. All I can think of is maybe preemies tend to be smaller, which means less room in their mouths for tonsils? Wondering…did your friends’ kids have any growth spurts after tonsillectomies? Maybe time to lay in all manner of post-op liquids & combos & containers & ingestion methods: fizzy water w sherbet, cur-li-cue straws, cookie-cuttered knox blocks (half the liquid in the usual “jello” recipe), melon “cups”. Any clean snow left? Sno-food! We all look forward to hearing how you all come out of this. My bet: Col will be a star patient & charm everybody. Our thoughts will be with you on Tues.
I’ve tried all sorts of coughing syrups, believe me, but none of them helps. Even though Nin Jiom Pei Pa Koa http://www.geocities.jp/ninjiom_hong_kong/index_e.htm does not eliminates the cough I like to stick to this chinese syrup I’ve been taking since I was a kid: Nin Jiom Pei Pa Koa. My grandfather is chinese, so I guess my mom got the advice from him. I was really surprised when I found that chinese market selling it here in Belgium. It does have a refreshing, soothing, sweetening effect…as long as it lasts…then back to coughing mode. Is that fine for 1 month baby boy to go for surgical treatment of undescended testicles. ?